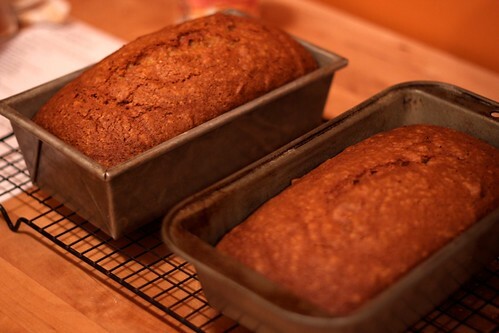 For as long as I’ve been cooking, I’ve been making the pumpkin bread you see in the above photo. (Proof: see this old post from 2004.) 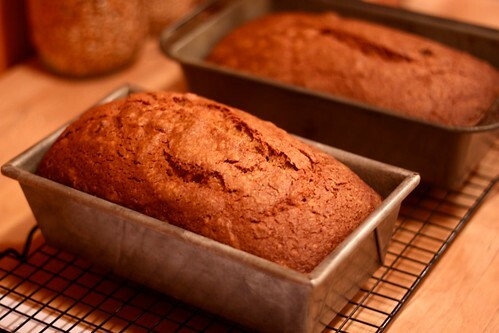 It’s one of the easiest recipes I know–dump a bunch of stuff into a bowl, stir it together, and bake it–and the rewards are rich: the scent of cinnamon and nutmeg will waft softly from the oven as you do the dishes and because the recipe makes two loaves, you can freeze one of them to enjoy later on in the month. 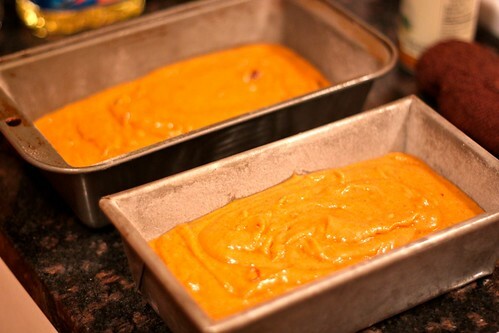 The only tricky ingredient you’ll need to find is a can of pumpkin and that’s not tricky at all. This is such an easy recipe, you can let your kids do it or, if you don’t have kids, you can borrow someone else’s and have them do it. Here’s what you do (recipe from Epicurious). Preheat the oven to 350 F and then spray with cooking spray two loaf pans; then spoon some flour into them, shake the flour all around and dump out. 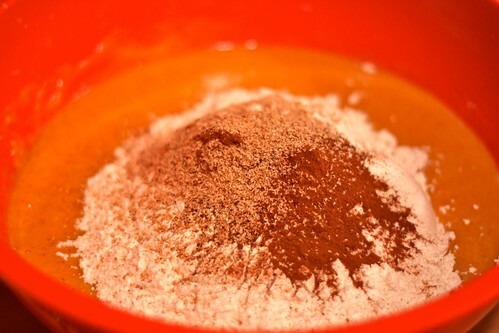 Mix that all around until incorporated. 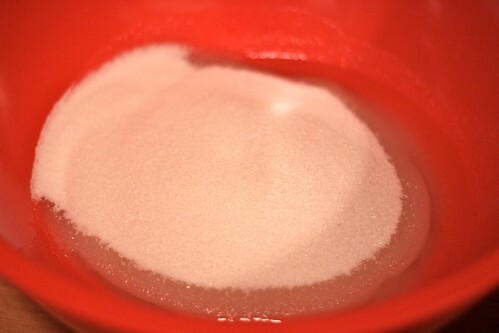 Stir the dry ingredients into the wet ingredients just until incorporated. 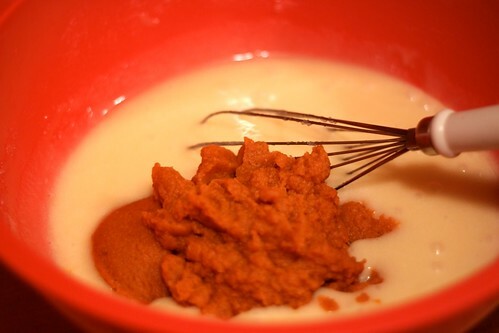 If you want, and I did this, toast some walnuts or pecans in the oven (about 1/2 – 1 cup) until fragrant, then chop them and stir them into the batter. 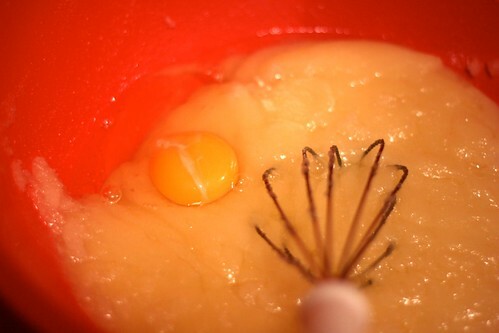 …and bake for 1 hour and 10 minutes. You’ll know it’s done when you stick a dry strand of spaghetti into the middle of each loaf and it comes out clean. Let the loaves cool on a rack for 10 minutes then cut around the edges, flip out and let cool completely. Enjoy!